After nearly 47 years as a band, after 15 studio albums that sold a collective 20 million copies and a half-dozen compilation discs that sold 6 million more, and after 34 singles that hit Top 40 on various charts, ZZ Top releases its first full-length live album today, Sept.9. “Live — Greatest Hits From Around The World,” is exactly what its title says: a double-album of 15 of the band’s best-known repertoire recorded on several tours in North America, South America and Europe. ZZ Top has played largely the same live show for the past several years — hit-laden sets of songs such as “Gimme All Your Lovin’,” “Sharp Dressed Man,” “Legs,” “Tush” and “La Grange.” That’s likely what they’ll bring to the stage at Sands Bethlehem Event Center on Sunday, Sept. 11, with Gov’t Mule. 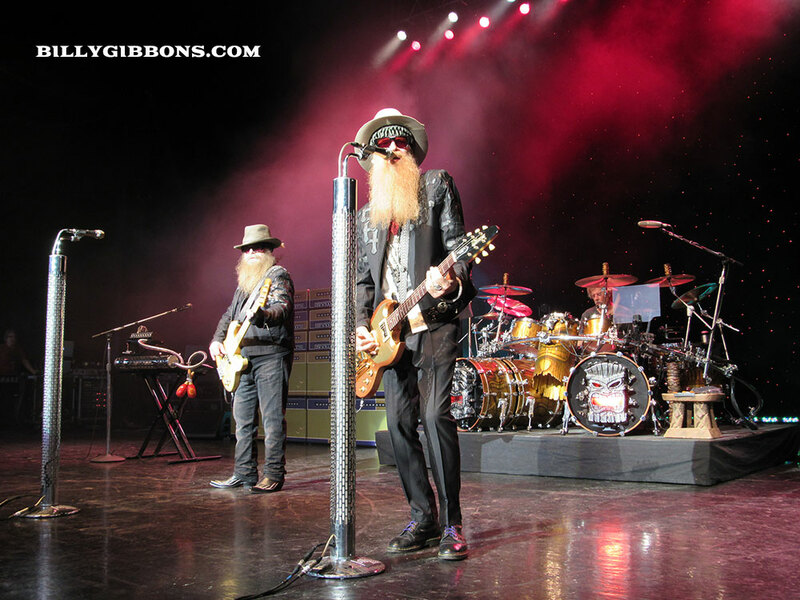 In a recent e-mail interview, ZZ Top singer/lead guitarist Billy Gibbons talked about the new disc, ZZ Top’s career and its future. LEHIGH VALLEY MUSIC: I read a recent interview in which you said ZZ Top has “a lot” of material for a new disc. Any idea when it might come out? What’s the material sound like? You guys have not released anything new since 2012’ “La Futura.” Why not? “ The ironic twist to that question is ZZ Top’s first-ever, all live, full-length album. It’s “ZZ Top Live – Hits From Around The World, literally recorded around the planet and officially out on the street September 9. [But the band had its biggest success in the 1980s, when its songs “Legs,” “Gimme All Your Lovin’” and “Sharp Dressed Man” dominated MTV with videos of the sunglass-wearing, long-bearded guitar players. [The success of those songs helped the band’s 1983 album “Eliminator” sell more than 10 million copies, and the 1985 follow-up “Afterburner” sell 5 million copies. [The group’s last gold or platinum album was 1994’s “Antenna.” And it hasn’t had a hit since 1996, when “What’s Up with That” hit No. 5 on the Mainstream Rock chart. But its popularity had continued: “La Futura” hit No. 6, the group’s highest-charting disc in more than 25 years. [ZZ Top also in recent years has had to cancel shows and even parts of tours as its members were hit with health issues. It canceled a 2014 show at Bethlehem’s Musikfest just 10 days before the show when bassist Dusty Hill had to undergo surgery to remove two kidney stones. It played at Musikfest in 2015, but canceled some shows in April when Hill broke his shoulder. Back in 2014, ZZ Top was supposed to play our Musikfest festival, but canceled because Dusty had to have the kidney stone surgery. Then early this year, you canceled some shows because Dusty broke his shoulder. How frustrating is that? And are you guys healthy now? [Gibbons last year released his debut solo album (and first solo disc by any ZZ Top member), “Perfectamundo,” and took to the road in his first-ever solo tour, which stopped at Stroudsburg’s Sherman Theater. What made you do the solo disc “Perfectamundo?” at this point. Compare it with ZZ Tops’ albums.